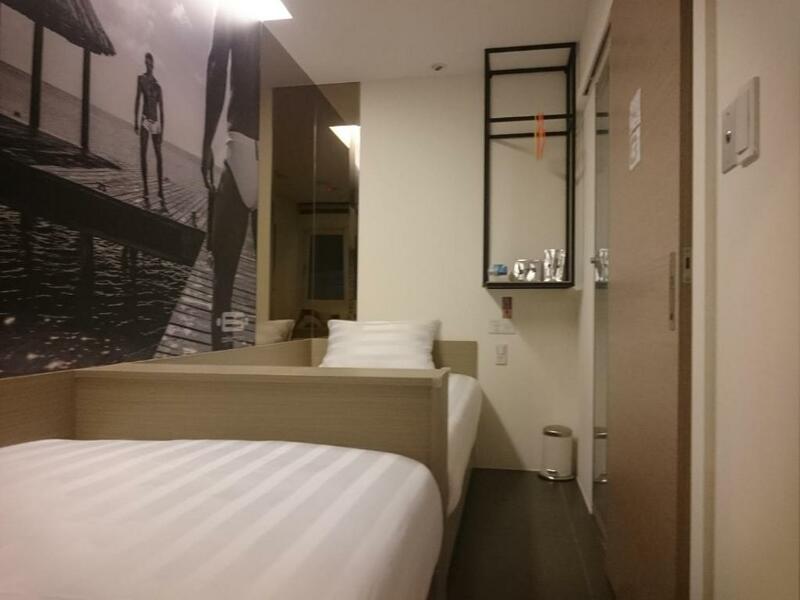 Lock in a great price for Gs Gay Hotel - Taipei – rated 8.4 by recent guests! It's a great place to meet new people. My Taiwanese roommate was really friendly and we went out for dinner together. The reception staff were all very nice, friendly and helpful. The location is quite far away from the tourist area but I my trip was for relaxation not so much for sightseeing. They provide face wash for sensitive skin, body lotion for dry skin and hair dryer. Towels were free, which I really like. 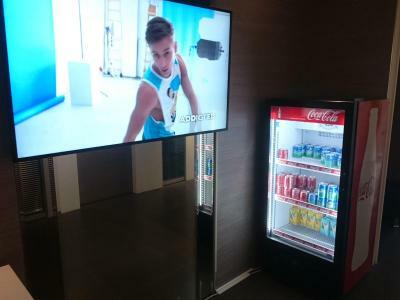 They also provide free softdrinks and water. I would surely come back here when I visit Taipei again. If you’re into a lot of activities within your hotel then this is a must try. I like that it is exclusive and that they encourage interaction among their guests, the way the facilities were designed and all. 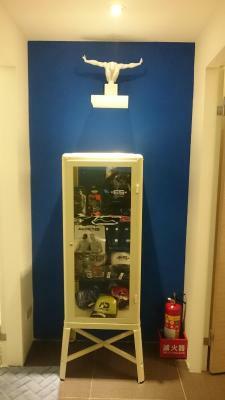 They also do provide a lot of freebies which you can really take advantage of; some they offer with a price. 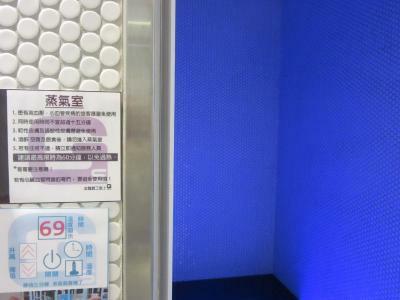 - Shared bathroom has no wall between rooms, so someone can join to take a shower with you. I also have an unforgettable experience when shower. - On the 2nd day, I found a bottle of lubricant gel in my locker, I thought the staff give it to me. I already used it. Thank you! - I can see a couple doing the activity without closing the door and they let me and others join them. - Other facilities are good, but you will not care about it because you will get something beyond. - If you meet someone you like, don’t be shy, tell him what you want. Please remember, he can refuse you if he doesn’t like you. You can refuse someone you don’t like as well. - Don’t be serious about something happens in the hotel, just fun with it. Someone comes and goes, you might not even know his name. Or someone can be your friend after that. Gay friendly hotel; the staff was really helpful. Shared bathroom was clean, and I liked the perks such as the steam room and free soda. The bed was comfortable and I had a good sleep. Will return. Very clean and the owner was very nice. I didn't know this was a gay hotel when I booked, but I decided to just role with it when I found out. 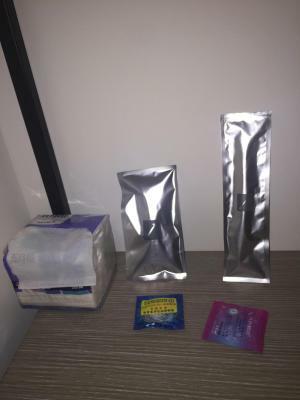 The staff was a little surprised at me showing up to a gay hotel, but the owner later swooped in and removed barriers. The other guests mostly kept to themselves so no awkward encounters while I was there. It has a hot room and a free soft drinks, although I didn't take part in either. very clean. easy to meet people. staff are very hospitable. 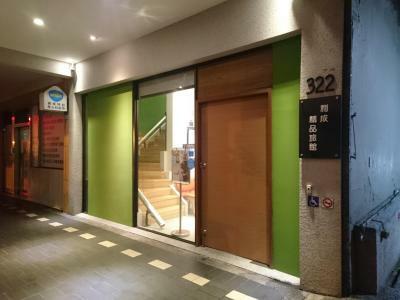 Gs Gay Hotel - Taipei is located in the Songshan District district in Taipei. If offers free coffee and soft drinks at the lobby. You will find plenty local food options in Raohe Night Market in just 1,650 feet distance. Every room includes a shared bathroom. 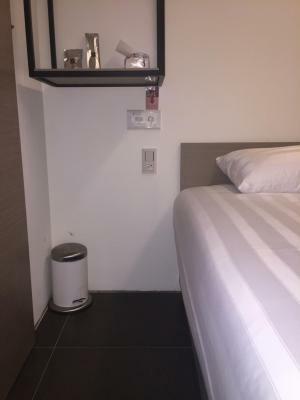 Gs Hotel - Taipei features free WiFi . Wufenpu Garment Wholesale Area is 0.9 mi from Gs Hotel - Taipei, while Taipei Arena is 1.1 mi from the property. 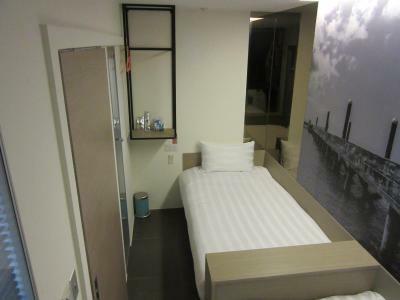 The nearest airport is Taipei Songshan Airport, 1.2 mi from Gs Hotel - Taipei. When would you like to stay at Gs Gay Hotel - Taipei? 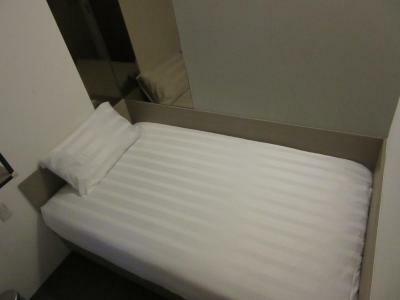 Featuring air conditioning, this single room comes with shared bathroom and is male only. 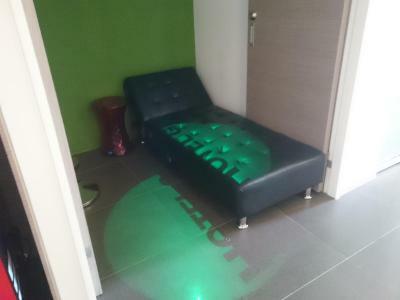 Featuring air conditioning, this room is male only. 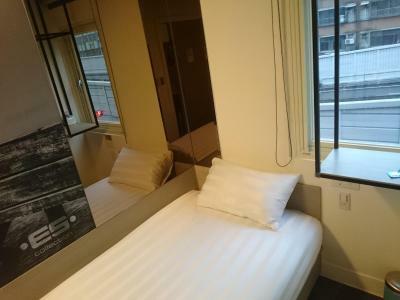 Featuring air conditioning, this single room is male only. Area Info – This neighborhood is a great choice for travelers interested in gourmet food, food and city trips – Check location Good location – show map Guests loved walking around the neighborhood! 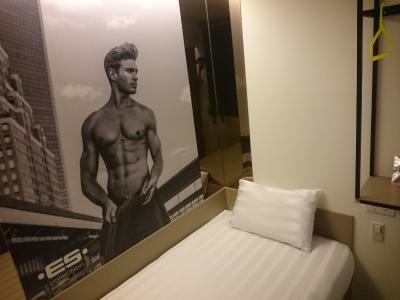 House Rules Gs Gay Hotel - Taipei takes special requests – add in the next step! 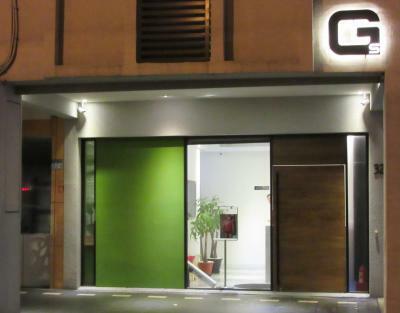 Gs Gay Hotel - Taipei accepts these cards and reserves the right to temporarily hold an amount prior to arrival. Please inform Gs Gay Hotel - Taipei of your expected arrival time in advance. You can use the Special Requests box when booking, or contact the property directly using the contact details in your confirmation. Rooms were a bit small, and it was a bit pricey for the size of the room you get. I did book last minute on the weekend so that may be why the price was increased. I checked for a weekday and the prices were more reasonable. I guess this is because the place is relatively far from the crowded areas but checking in on a weekday can be pretty boring. You’ll even get an eerie feeling during at night, especially when they turn off the lights in the hallways. While I am okay with the overall cleanliness of the place, there was an instance on the latter part of the evening that I saw a residue of human waste in one of their comfort room and it grossed me out. if rooms are soundproof, it would be perfect. Room in second floor is very loud, i could not sleep. Tips: 1. please bring your own slippers if need. 2. Please ask reception for universal adapter if need. The staff is friendly, polite and helpful. Bed is simple and neat. Great location. There are convenient store nearby. Caihong Riverside Park is just 5-10mins walk distance, suit for jogging.